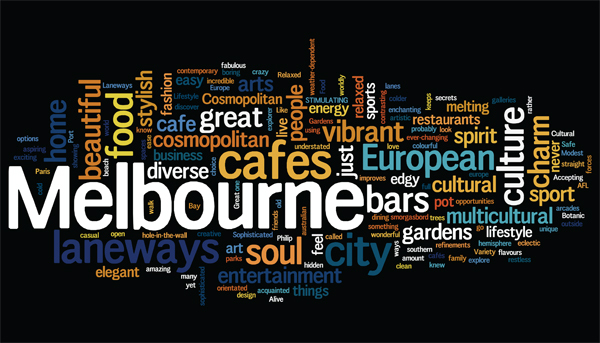 contest indiblogger melbourne Unleash the zest of life - Visit Melbourne! Disclaimer - Strictly Fiction. The people mentioned in this post do not have anything to do with this post. This post is written for "its time to visit Melbourne NOW" Contest sponsored by Indiblogger and Tourism Victoria. "Momma...Momma....Maaaaaaaa," I yelled at the top of my voice. "Stop screaming Jessica...Whats wrong with you?," She screamed back at me. She was cooking some stew in kitchen as I read the mail which I received from the Melbourne International Film Festival Director Michelle Carey. "Maa.. my dreams are going to materialize...Come here," I called my mother who was busy cooking ‘Mutton Kebab’. I showed her the mail which I received from Michelle Carey, the Director of MIFF, Australia. "Why did you call me?. Don't you know I am busy in kitchen?," My mom asked me wondering why I had called her. "Read this Mom," I said to her. Thanks for submitting your short film for the Melbourne International Film Festival. We are pleased to announce you as the winner for the 'Best Short Film' Category and our jury members are impressed with your work. 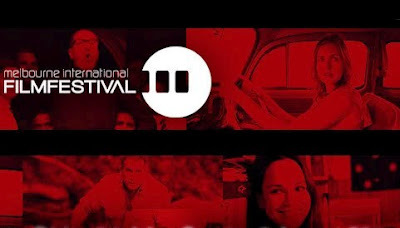 We would like to invite you to the Melbourne Film festival. You shall be given an opportunity to work with renowned Australian Director 'Baz Luhrmann' who has directed many award winning movies. You will have to attend a 3 months’ workshop where you shall work under Baz as an apprentice. It doesn't stops here. Victoria Tourism is impressed with your short film and they have decided to offer you something which can change your life and broaden your horizons. They want you to make a short film on Melbourne highlighting its cultural, sporting and other important values! Unleash your creativity and be innovative. Exhibit your talent and Explore Melbourne. So are you ready for the next big thing? See you at Melbourne then !! Mom read the mail and she was exhilarated.. "Isn't that amazing Maa?," I smiled at her. "It indeed is but sweetheart, I should tell that you are not going anywhere," She was being strict. "But Maa...," My heart nearly skipped a beat at her words “this is once in a life time opportunity for me to work under a famous director and this will certainly make my dreams come true," I almost broke into tears. It was true that Maa always wanted me to be an HR or an executive in some famous organization but an adamant me wanted to pursue my career in Mass Media. My focus was shifted towards movies and I always wanted to be known as a director. "Mother, haven't you always taught me that Opportunity never knocks twice?. And how can you overlook the fact that this has been my dream! I have literally burned the mid night lamp for it and now when this seem tangible, you are asking me to step back?.Is this fair mother?" I said with a frown on my face. Maa thought for a while. She sat down, straddling the chair thinking about the mail. "Maa ... For that matter I even have a passport and this trip is sponsored by them, so you never have to fret about the expenses...travelling and accommodation would be provided by MIFF and Tourism Victoria,” I justified her to the best of my abilities. After thinking for a while, Mother looked at me. "Ok Lovely...go for it girl," Maa smiled at me. I rushed towards her and hugged her tightly. I always knew that all mothers have a soft corner for their daughters and my Maa was no different. "But sweety,isn't Melbourne, Sydney, Brisbane all about Kangaroos and Cricket?," She questioned me. "C’mon Maa, Melbourne is not all about Kangaroos and Cricket like you and most others think. There is much more to look forward to there. You should know that it is one of the most charming and livable city in this world," I quickly replied her. "Imagine my favorite actor Hugh Jackman and Nicole Kidman amiably chatting at the Melbourne Museum in my Movie on Melbourne. I would ask the organizers to rope in my love Leonardo to do a cameo for our film where he will talk about Melbourne," I winked at her to which she laughed. "Ok. Now that you are going to Melbourne I would like to know what all things would you like to have in your movie?,"
"Oh Maa..." I took a deep breath and imagined myself already in the city where my dreams were about to come alive - Melbourne! “My movie would be a reflection of my journey. It would revolve around the experiences and memoirs I gather during my stay at Melbourne,". "sounds interesting..So tell me what all experiences you would like to bring back from Melbourne?," Maa said. "Wait..Maa..I will tell you everything," I was on cloud 9 and felt like pouring my heart out so I quickly carried my laptop and downloaded few images from the Tourism Victoria website to show her few places. "Maa, you should know that Melbourne is one of the highly visited places in Australia. People come here just because there is something which attracts them. It’s popular for its culture and lifestyle similar to our Mumbai and Delhi,"
"Melbournians are sweet and very friendly and humble," I smiled. "You talk as if you have been to Melbourne numerous times or know anyone from Melbourne,” Mother looked straight into my eyes. "Maa...I have this friend called Stephen from Melbourne whom I befriended through Facebook and he seems to be a nice guy," I said to her to which she exhibited a straight face. "You know that I am a big fan of Art and Painting. So I would definitely visit the different museums located in the city like the National Gallery of Victoria, Immigration Museum, National Sports Museum and award winning Melbourne Museum etc. I would visit the Immigration Museum and read the wonderful stories and artwork of the famous immigrants to this city who migrated ages ago," I took a sip of the Orange juice which mother offered me. "Okay Wait...I will have to switch off the gas stove. I will be right back," Mother said to me and rushed to the kitchen. 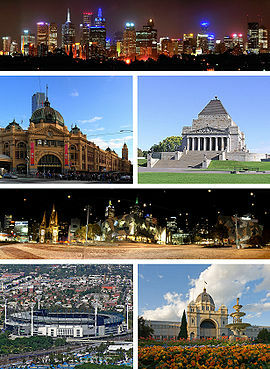 Meanwhile I downloaded the images of the famous monuments and museums in Melbourne so that I could show Maa. Maa came back after 5 minutes. "Maa...you know what..I would travel through different streets mostly on foot. When you walk down the unknown lanes you some how acclimatize to the culture and atmosphere around. 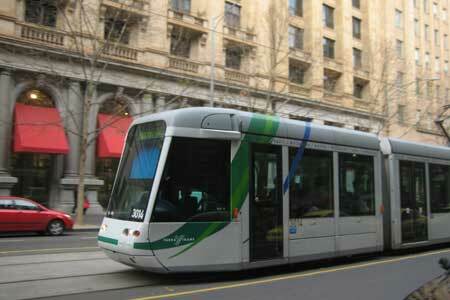 and obviously the amazing trams and trains, look here," I showed her the pictures of Tram. "Wow..That looks like a train on road instead of tracks," She chuckled. "Yeah..I would visit the different Gardens located in the center of the city like the Royal Botanic Gardens, Queen Victoria Gardens and Carlton gardens etc.Imagine going for an evening walk at the Queen Victoria Gardens amiably chatting with the different Australians about their culture and traditions," I showed her the images of the Royal Botanical Gardens and the Albert Lake Park. "Wow..this lake seems so beautiful and look at the skyline Jessi..Isn't that amazing?," Mother's eyes were glued to it. "Maa...I bet you would love to sit along that seat and enjoy the scenic beauty of the Albert lake ," I pointed towards the photo. "Yes..I would indeed love to ..," She said. "And as you know that I am crazy when it comes to shopping and eating. I would visit all the chocolate shops and taste wonderful desserts at ‘HAIGH'S Chocolates ’ and eat at the ‘Chinatown Melbourne’. Life would be so much fun Maa," I looked at her face and her eyes were fixed towards the pictures. 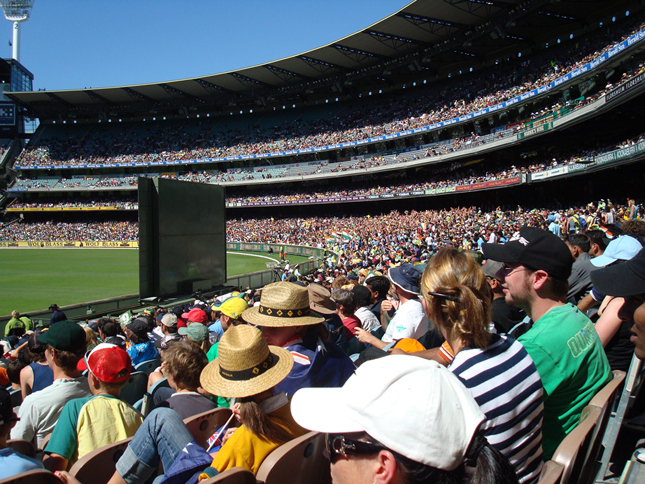 "I would shop at the Coleen, Swanston, Victoria and Chappell streets and buy beautiful accessories for you and me"
"Ever thought how would it feel watching a cricket match at MCG along with the Australians. I would definitely go for a cricket Match at MCG Stadium and watch the Aussie boys thrash the Pommies,Indians and the Protease," I laughed. "Jessi..Don’t forget that you are an Indian .Come back from dream land Sweety," Mother turned serious. "I was just kidding Maa.." I asserted. 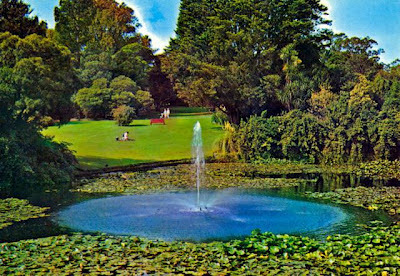 "If I were there till January then I would have witnessed the Australian Open, the first grand slam of the year at the Rod Laver Arena,"
"And off course I would visit the Philips Islands to witness the cute and naughty Penguins and the Moonlit Sanctuary WildlifeConservation Park to romance with the Koalas and the Kangaroos," I said. "If bored,then I would go for some movies at the Forum Theatre or the Princess Theatre." I smiled at her to which she listened to me carefully. 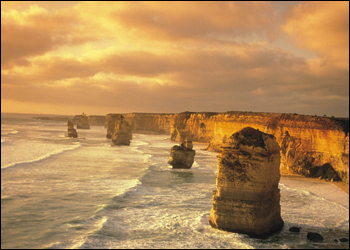 "This is just a beginning maa...I would also go for a long drive along the Great Ocean Road and witness the 12 great Apostles made up of Limestone’s. It would be such joy going for a long drive along the coastal road with a handsome Aussie guy," I again winked at her. "Whaaaaat...," She glared at me this time. "Ok I am kidding...why do you take things seriously?" I asked. "Hugh Jackman and Nicole Kidman would go for a long drive at the Great Ocean road and admire the calmness of the Bells beach," I said. "In your movie...," Maa enquired. "Offcourse yes. I don't know them personally na," I grinned. "Maa..Melbourne is arty, chic, elegant and magnificent...a complete package of bliss," I smiled. "Okay, enough of endorsing Melbourne. Now it’s dinner time," Maa called me for dinner. "Maa..before that I want you to see this video which I made for them. I invested my valuable time in creating this video Maa..," I logged on to Youtube.com and showed her the video which I prepared. She saw the video with complete concentration. Minutely observing the details in that video. That video spoke everything about Melbourne. She looked at me and tears of happiness welled in her eyes. "Jessica..You are such a creative girl...come here," She called me towards her and kissed me on my forehead. Her face brimmed with pride. "You should go to Melbourne and make us proud deary," Mother said. "I would Maa..and make this a memorable trip," I kissed my Maa. My Visa got approved and finally the day arrived when I was supposed to fly to Melbourne. 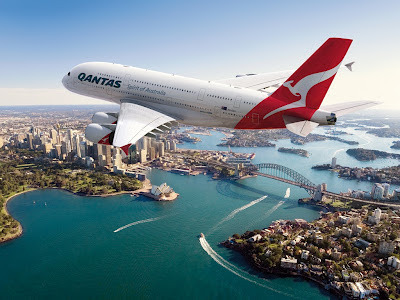 I boarded the Quantas Airlines and was all praise for their services. I reached Melbourne at the scheduled time. I saw the aerial view of Melbourne from the flight and was astounded. I was constantly in touch with Maa through Skype and phone call. Days passed and I got busy with my work assignment. I also met my Facebook friend Stephen from Melbourne who promised to be my tourist guide. "Maa..this place is exactly what I described you...you know what today I went for skiing at the Falls Creek and it was adventurous..I also visited the Fed Square Maa and explored many new things and people." I called my Maa. “You know what..Stephen took me for a long drive at the Great Ocean Road.He is a sweetheart Maa...," I told her. "Jessi...hope you are taking care of yourself and do say my hello to Stephen," She said.
" And Maa, there is a place called Eureka Sky-deck 88 at a very great height where you can see the entire city...Its beautiful," I said. "I am already in love with this place Maa and now this place is too close to me,I might even name my Son as Melbourne," We both laughed. "Maa...I have already visited Melbourne and it’s your time to Visit Melbourne NOW!" I said. "I will definitely some day and don't forget to post photos on Facebook," She said. "I will ...love you Mom for sending me to Melbourne. I would have missed an important phase of my life if I had not come here," I said. "Don't worry..you should know that we care for your happiness," She said. "Love you Jessica..Good Night," Mom bid good night and cut the phone. Melbourne - A hub of beauty, adventure and entertainment! Don’t miss the fun...come visit marvelous Melbourne !! 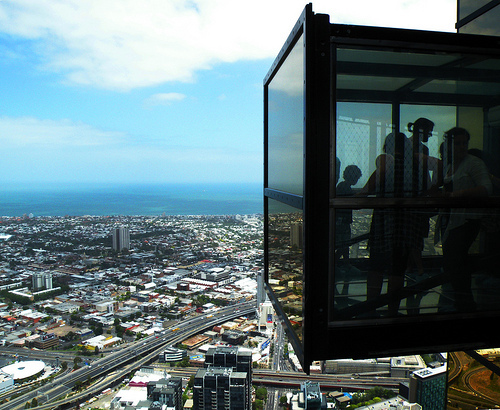 Want to know everything about Melbourne? . Refer the below image. Yes...this was what I had in mind ... bt i don't knw if i have done justice to the plot...thats why i shared my idea with you...i am glad you liked my story! very well thought up and presented. Excellent pictorials. Quite the drama queen aren't you? :-) .... but having said that, I must admit that the research and the plot are both exceptional! I've read quite a few posts on this topic, but you seem to have put a nicer perspective to it all! All the best!